For anyone who knows my reading history, or anyone who visits this blog, you'll know I'm a dreadfully slow reader - therefore I avoid big books. I also do most of my reading on the train to work, so big books are a real pain. Regardless, I did embark on this, what I call, big book. I get a great deal of satisfaction reading the trilogy, or the set, if there is one. So after reading Kate Mosse's Labyrinth, and Winter Ghosts, I was set to read this one some time. I really enjoyed the Labyrinth, but didn't really find Winter Ghosts a complex read. I found Labyrinth a new experience in reading, with the author taking me on a mystery tour of sorts. I really enjoyed the sense of 3rd dimension in it, with different era's blending. For this reason I thought I would have enjoyed this one. Sepulchre, takes the reader on guided tour through the experiences of two women, Leonie in the 1890's and Meredith in the present. Their lives are connected, but it's Meredith's search for her family history that makes that connection. Again, Mosse has a third dimension in this story. One that I was happy to entertain, however I don't think she took it as far as she could've. I read one review that suggested Sepulchre was not quite occult literature. I think that's what I felt, although I've never read any occult stuff? Despite it not quite making it for me - I did read it (yeah) and it was a light and enjoyable read. Where to from here?? I think I'm going to try Paulo Coelho's 'The Pilgrimage', and we're going to read Albert Camus "l'entrager" in french class. 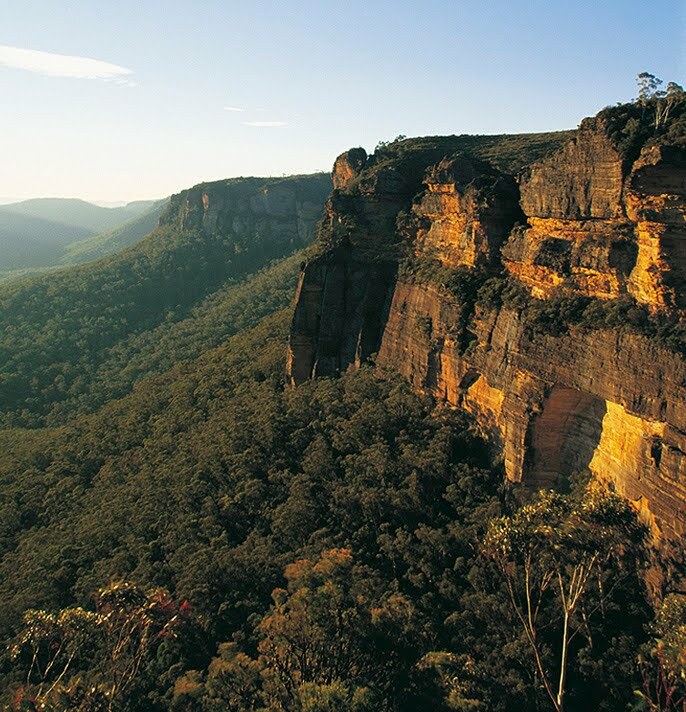 Last week I had the pure joy of spending a few nights in the Blue Mountains, in a little cottage with wood fire and comfy sofa. You would think then, that I might have finished a good book. 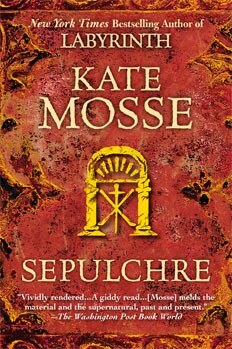 Well Im close to finishing Kate Mosses 'Sepulchre', so the review will be here soon.. 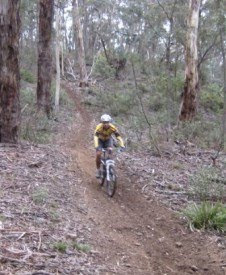 While we were in the mountains we challenged ourselves to a couple of mountain bike trails and some beautiful bushwalks. I was surprised by my own capacity and had a ball. Many thanks to Dolce Bellezza, who sent me this at the completion of the Japanese Literature Challenge 3. I was going to wait to read this for JLC4, but I couldn't. 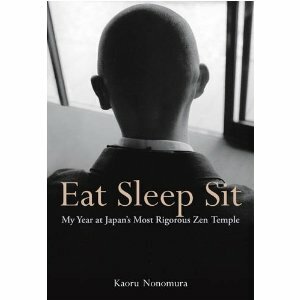 My year at Japan's most rigorous Zen Temple, by Kaoru Nonomura, was reported in Japan Times as 'an unusually fine translation of an unusual best seller'. For me, reading connects me with my own experiences -past, present and future - and opens up new possibilities, definitions and meanings. This little book encouraged me to reflect on my life, while also opening up new understandings of the world of Zen Buddhism. I have spent some time in spiritual retreats, in reflective spaces, and at Bible College. One of the most sacred times for me is dawn, in silence, just sitting (or walking) - no talking, no planning, no doing things. Its in the silence of dawn that I am reminded how small I am in the universe, and yet how powerful I am with intent. While reading this book I was reminded again, about the power of 'just sitting'. "Sitting with my legs folded and my back straight when my every muscle still retained the lassitude of sleep was, I found, exhilarating. it felt as if every cell in my body were slowly recovering sensation and motion in synch with the steady reawakening of nature all around". "Then little by little, we were enveloped in an intense silence only broken by the occasional sharp whack of the monks stick on someones shoulder, my own body stiffening each time I sensed it was about to fall." This was a powerful read, more poignant for those of us who feel called to silence for spiritual connections. What can we endure for our search for meaning? What becomes of our journeys? They level of violence and abuse is somewhat shocking for the reader, as we cant imagine this of the temple life. However it is part of the teaching regime, and not necessarily questioned by the author. The authors journey into Japan's most respected and yet rigorous temple, was a beginning for him and many other monks who also under took such training. Where to for him? the story doesn't tell us much - it's left up to the reader the imagine what might become of this young man. As it is left to the reader to question, what has become of my journeys into spiritual spaces?